Let us journey with you on the path to recovery through our holistic and individualised rehabilitative services. Think of us as a friend or a mentor offering vocational and psychosocial support. We help persons with mental health conditions gain the skills and mindset to manage their mental health and reintegrate into the community. SAMH manages the Activity Hub, where we conduct psychosocial rehabilitative programmes are conducted to assist residents in their recovery from mental illness and in reintegrating into the community. Activity Hub provides services like occupational therapy, social work, psychological services and vocational placements. Group Homes is an independent living facility for people with mental health conditions who have a desire to be gainfully employed, develop communal living and independent living skills, as well as strengthen their ability to integrate into the community. 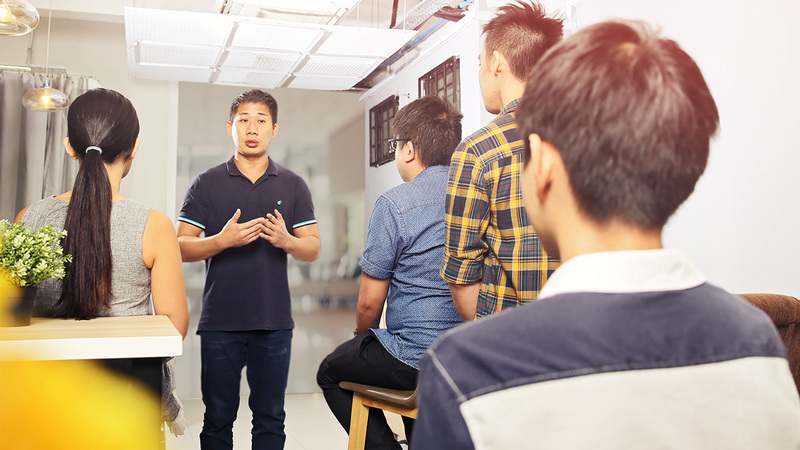 MINDSET Learning Hub is Singapore’s ﬁrst and only job training and placement centre that provides Workforce Skills Qualiﬁcations (WSQ) training to persons in recovery. It was set up as a collaborative eﬀort between SAMH and MINDSET Care Limited a registered charity arm of the Jardine Matheson Group. Oasis Day Centre provides sheltered workshops and psychosocial rehabilitation through training and activities (art, yoga, singing, dancing etc.) for persons with mental illness. We help beneﬁciaries to realise their potential and improve the management of their conditions, so that they can better reintegrate into the community. YouthReach is a psychosocial rehabilitation programme for youths with mental health conditions. We provide intensive case management services where we partner youths, families and schools to achieve mutually agreed goals in a safe, inclusive and caring community.